How does the CustomNursingPapers.com work? Placing a custom paper with CustomNursingPapers.Com is an easy way to astonishing academic prosperity. All you are required to do is give us your professors’ instructions and we will write you a Top quality paper. Just fill in your details in our ORDER NOW page (accessible from any page), pay for your order and we will complete your assignment within the deadline you prefer. You can also upload extra instructions in forms of pdf, pictures or word documents. 3. Your paper is delivered to your Client Page once complete. 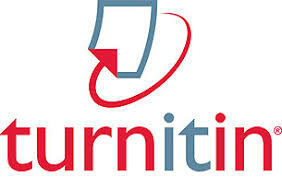 CustomNursingPapers.Com is a New York based company that offer academic assistance to students high school, college and university students. CustomNursingPapers.com has been in this field since 2005 provide academic assistance to students in Canada, Australia, U.S.A and the United Kingdom, although we accept order from any other country that uses English as the official or academic language. We have customer support facilities in Los Angeles, London, Sydney, Brisbane, Toronto, London and Manchester. CustomNursingPapers.Com cooperates with PayPal, which is the most secure online payment method today ensuring that all transactions between us and our clients are fast, convenient and totally safe from any hackers or any other third parties. 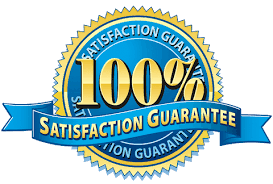 Therefore, be assured that while you are paying for our services, we will receive every penny that send and we will write you a top quality paper on time for there will be no delays or inconveniences in payment. We have been cooperating with PayPal since 2005 and we have helped more than 10, 000 students get their research papers all paid through www.paypal.com We only start working on your paper after we have received a payment confirmation from PayPal, to ensure that our services are not taken for granted. 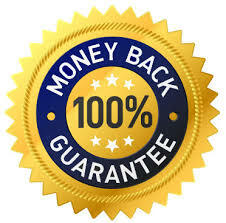 However, we always honor our end of the bargain and refund all of your money as stipulated by our MONEY BACK GUARANTEE in case you are not pleased with our services. Yes you can, especially you are a returning client. You can request for a writer who has previously completed your paper. Click on ‘I want a specific writer’ button when placing an order and a list of all of our writers will appear. If you fail to click this button there is no guarantee that your order will be completed by your previous writer. Your order tab “ORDERS” that helps you track the status of your previous orders with CustomNursingPapers.com. It also displays your pending/in progress, in revision, in editing, completed, rejected and also disputed orders with us. As soon as our editing team is done with your paper, you will receive a notification on your email with a link directing you to your ‘CLIENT PAGE’. However, we also encourage our clients to keep checking their ‘CLIENT PAGE’ as the deadline approaches in order to avoid any misunderstandings especially with new clients. The order will be appearing on your ‘completed’ section and it is upon you to click on ‘approve’ button to confirm that the order meets all of your specifications. However, our system assumes that our client forgot to approve a delivered order and auto-approves all completed orders after 72hrs.